For long Molecular Diagnostics has been the domain of large central laboratories requiring patients and samples to travel long distances for a test to be conducted. These pose several logistic and technical challenges leading to increased costs and delayed results. The veracity of such results and impact of such intervention in treatment outcome have always been questionable. This has led to a poor uptake of such reliable and cutting edge technologies that have potential to save millions of lives, mitigate sufferings and reduce disease burden and anti-microbial resistance. The lack of timely access to good diagnostics has been the bane of health care needs, particularly of the Low and Middle Income Countries. The Truelab Real Time quantitative micro PCR system from Molbio Diagnostics brings PCR technology right to the point-of-care, at all laboratory and non-laboratory settings, primary centres, in the field, near patient, essentially at all levels of healthcare thereby decentralizing and democratising access to molecular diagnostics. With a large and growing menu of assays for infectious diseases, this rapid, portable technology enables early and accurate diagnosis and initiation of correct treatment right at the first point of contact. The platform is infrastructure independent and provides complete end to end solution for disease diagnosis. With proven ability to work even at Primary Health Centres and with wireless data transfer capability, this game changing technology brings in a paradigm shift to the global fight in control and management of devastating infectious diseases. The system works on disease specific Truenat microchips for conducting a real time PCR. The sample preparation (extraction and purification) is done on a fully automated, cartridge based Trueprep AUTO sample prep device. We from Molbio are proud to bring in this revolutionary technology and commit ourselves to continuous efforts towards improving the health and well being of the global population. Molecular Diagnostics is the state of the art in Diagnosis of infectious diseases. It works on the principle of DNA amplification, hence provides the ability to diagnose disease early in infection because of its excellent sensitivity and specificity. This technique has thus far, been limited to centralized laboratories due to dependency on complex and expensive infrastructure, highly skilled manpower, special storage conditions and need for batch testing. This results in high turn round time and poses major logistics challenges such as sample degradation, contamination, delays, etc. Molbio now offers a 'global first' platform that can perform Molecular Diagnostics for infectious diseases at the point-of-care - Truelab Real Time Quantitative micro PCR System. This compact battery-operated system has single testing capability and provides sample to result within 1 hour. Hence, it enables same day reporting and initiation of evidence-based treatment for the patient. It also has real-time data transfer capability (through SMS/E-mail/data push) for immediate reporting of results in emergency cases. Doctors and patients benefit from this technology by having a definitive diagnosis, early in the infection cycle, at the point of first contact so appropriate treatment can be initiated. Early and timely intervention also helps in preventing spread of the disease. ICMR, after extensive validations has found Truenat to be a more sensitive and specific test and hence recommended it as a replacement to smear microscopy for diagnosis of TB and Rifampicin resistance under the RNTCP algorithm. Ministry of Health has now initiated roll-out of the test across India, with Andhra Pradesh being the first state to use Truenat as a frontline tool for TB detection at Primary Health Centre level. With this intervention, the state is seeing a substantial increase in case detection. 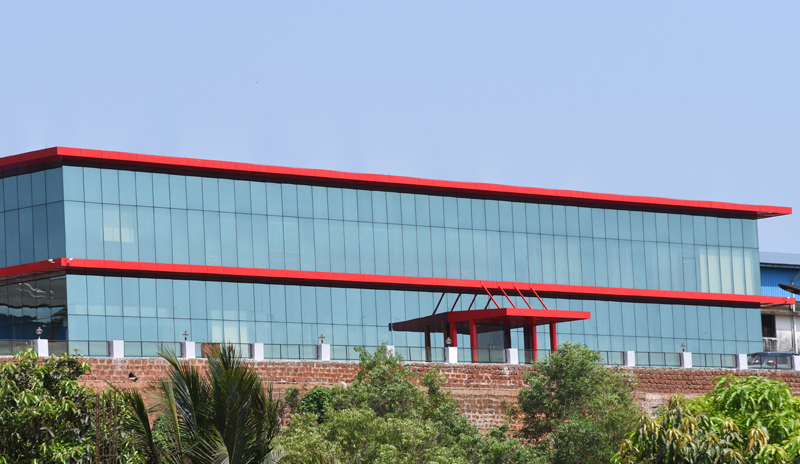 Research and Development Wing of Molbio Diagnostics Pvt. Ltd. 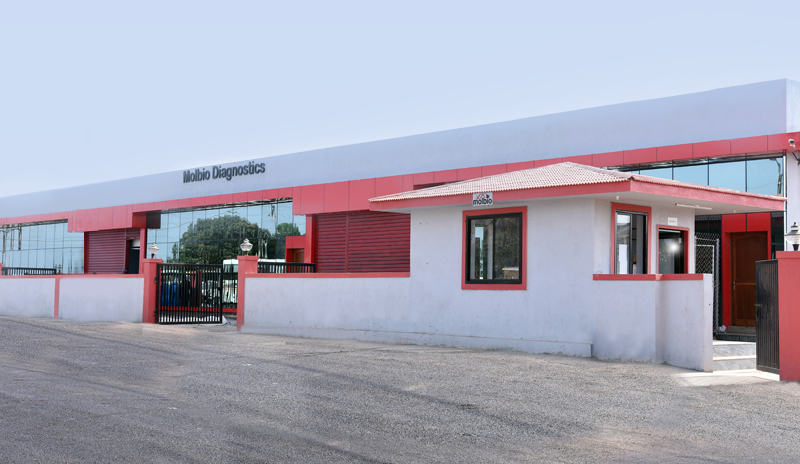 Driven by the urgent need to provide world-class medical infrastructure in India and make it more affordable and accessible, Bigtec Labs was founded in 2000 with the vision of transforming healthcare. Bigtec Labs is a Bangalore (India) based, technocrat-entrepreneur driven, Patent & IP focused Product innovation Company in the private sector. At Bigtec Labs we use innovative techniques to create and bring together various academic disciplines under a common umbrella to develop game-changing/unique products in the area of diagnostics for resource limited settings world-wide. Bigtec has a proven track record of developing & commercializing novel medical devices. Bigtec has developed a portable and battery-operated micro-PCR system under the aegis of CSIR (NMITLI) that has since been extensively validated (under DBT & ICMR). 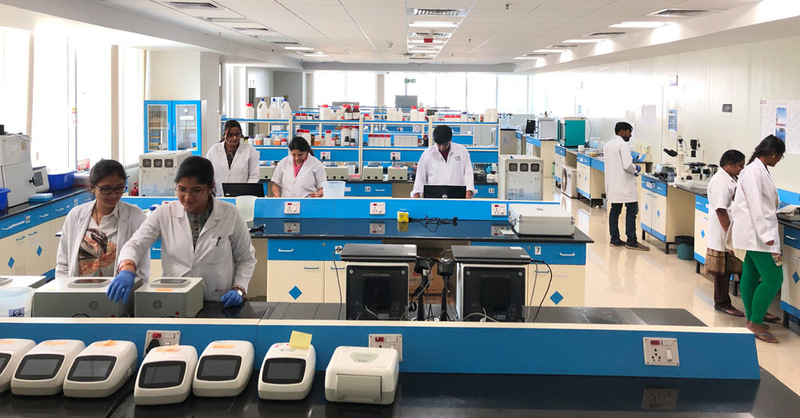 Bigtec has also developed various tests and nucleic acid preparation devices to facilitate "sample to result" molecular diagnostics in resource limited settings. 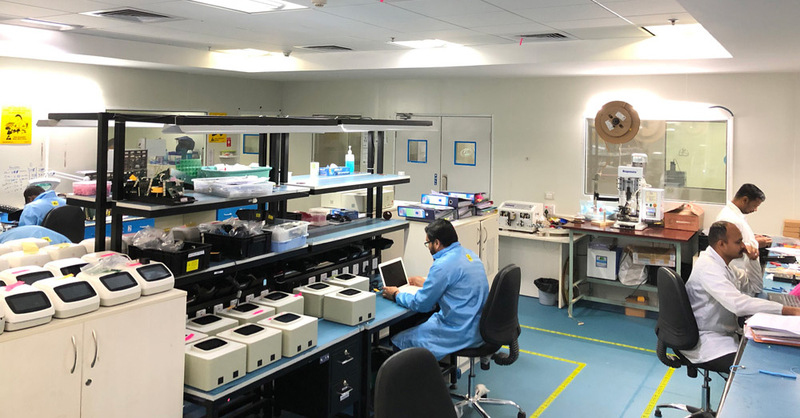 The micro-PCR system has since been launched in India through the parent company, Molbio Diagnostics which has manufacturing and marketing base in Goa, India. Our team consists of people with different expertise and from different academic disciplines working together to ideate, innovate and integrate. The successful translation of a concept into a product is made possible by its multi-disciplinary workforce. Sriram Natarajan, a technocrat, is founder Director and Chief Executive Officer of Molbio Diagnostics Pvt. Ltd. He holds M.Sc, M.Phil. degrees, has four years of academic research experience and 34 years of experience in developing, manufacturing and marketing of Diagnostic devices and kits, catering to worldwide markets in both the private and the public sector. 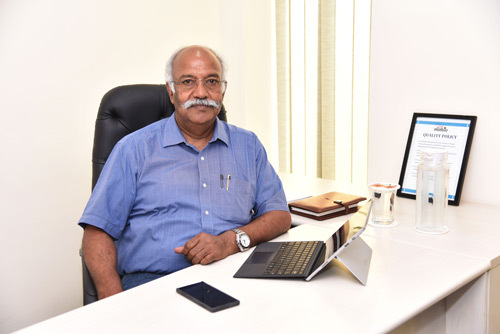 He founded Tulip group in 1989 and grew it to become the largest IVD reagent company in India and a significant player globally. He successfully exited Tulip in Jan 2017. Chandrasekhar heads Bigtec labs and is Chief Technical Officer of Molbio Diagnostics. He received his Bachelors' and Masters' in Chemical Engineering from BITS Pilani. 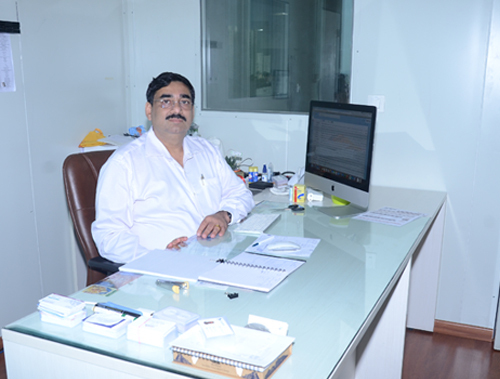 He has worked in Senior Management positions with the Vittal Mallya Scientific Research Foundation. He has extensive experience in bioprocess modeling, scale up and commercial implementation of bio and chemical processes. Over the past decade, his focus has been on realization of rapid, portable, high quality and low-cost diagnostics that would bring the power of a modern laboratory to near-care use. He holds number of Indian and International patents.